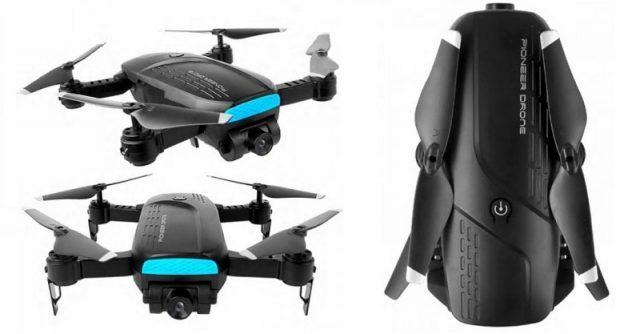 Similar to the Eachine E58, the PIONEER LH – X41F also features foldable arms. 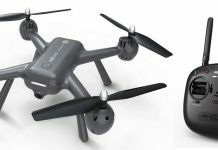 This approach makes the drone very portable allowing to carry everywhere with you. Furthermore, the LH – X41F features G-Sensor APP control, so does not requires to use the physical remote controller. According to the advertised specs, the 3.7v/1000mAh LiPo battery allows up to 9 minutes of airborne time. 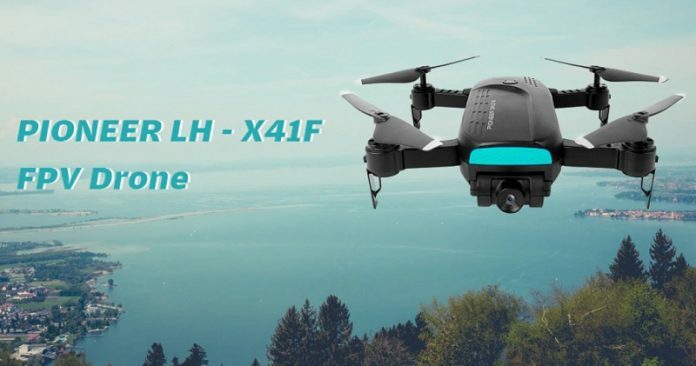 In addition to the frontal 720P camera, the PIONEER LH – X41F quadcopter has a second camera under its belly which serves as optical flow sensor. Up to 80 meters control distance. About 8~9 minutes flight time.